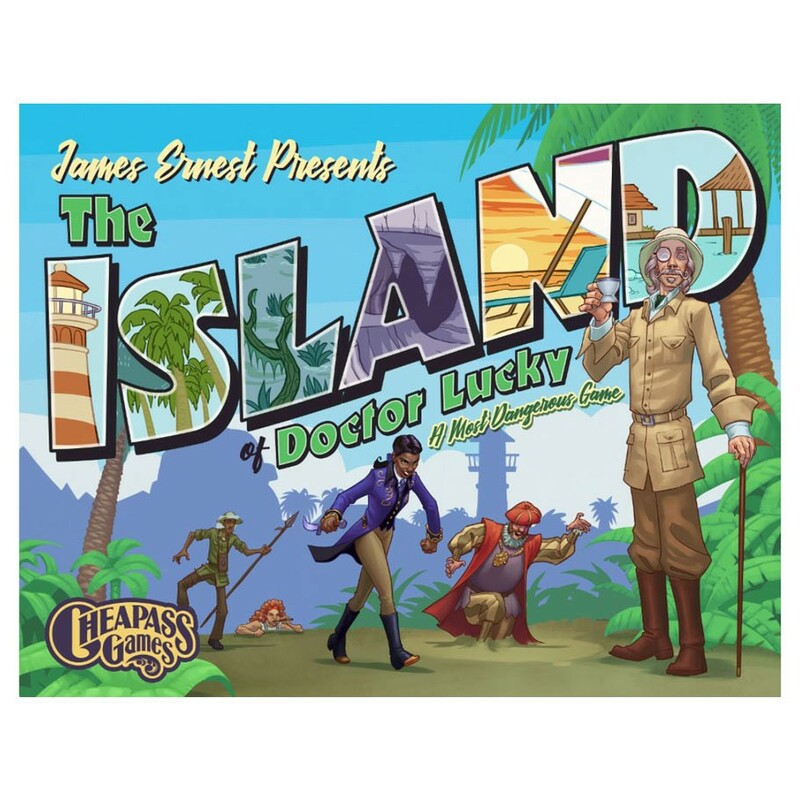 The hunter becomes the hunted on the Island of Doctor Lucky! The award-winning Cheapass classic Kill Doctor Lucky gets a tropical spin in this new stand-alone board game. You're still competing to kill the old man, but this time you picked a dangerous place to do it! Dodge hazards like the fire pit, the hunting snare, and the hammerhead crabs, as you navigate the perilous regions of Isla Fortuna. Find the old man alone, and kill him with whatever you can find: the shark tooth, the elephant gun, or the bad dates, or (if you must) you can do it with your bare hands. Every murder attempt makes you stronger, and if you play your cards right, you can kill Doctor Lucky!